The front porch is where I learned that Aunt Rade’s youngest son died at Iwo Jima never to return to that old red clay farm in Oklahoma. It’s where I learned my far off relative Orcemus built the town of Emporia, Kansas, brick by brick. The front porch is where I learned who and what made me who I am in the world. All those people had stories and all those people needed to be heard. The grown-ups took turns weaving these ancestors into my world. Stories made them come alive with memories handed down through generations. Isaac was wounded in the Civil War not once but twice. Later losing his sight from one of his wounds that never healed. He carried a musket ball in his right cheek all the rest of his days, making war a constant and painful reminder. His wife Annie took over the farm work when Isaac went blind. She worked long mean hours trying to keep her family together. Nancy, who in 1835 died giving birth on her 44th birthday. She delivered her 12th child and made the older children promise to stay in school and to make sure the young ones did the same. All 12 of her children could read and write, something she and her husband, David, could never do. The three brothers and their families leaving their homes in Virginia in the late 1700s to take land grants in Kentucky for fighting in the Revolutionary war. They made their way through the Cumberland Gap. From Kentucky, they and their progeny made their way to farms in Ohio, Indiana, Missouri, Kansas, Oklahoma and into Texas. That was just one parent’s side. Both my parents represented hundreds of hard working people, people who wanted better for their children. With the loss of the front porch, children cannot know of the rich life they come from nor the circumstances. How will they learn when the voices have stopped? Where will the children gather and who will pass on the lore of a family? There are no evenings where lightening bugs gather or children to sit on daddy’s lap to hear of the old families and their struggles. The front porches are gone, all is quiet. Formed in Van Zandt County of East Texas, the Neches River flows southeast for approximately 416 miles and empties into the Gulf of Mexico near Port Neches. 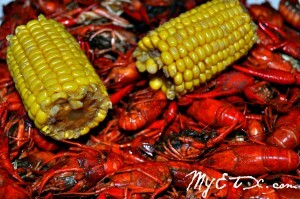 PALESTINE- Saturday, May 5, head out to the Anderson County Livestock Arena at 5:00 p.m. to enjoy six tons of mudbugs! Tickets for the event are $25 in advance and $30 at the gate. Tables for 10 are available to reserve for $275. Advance tickets can be purchased from area FFA and 4-H students, as well as L&L Shoe Store, Cavender’s and Roundhouse Liquor, all of Palestine. Ahhh…..Memories of my Grandma’s front porch and so many relatives…..now all gone.